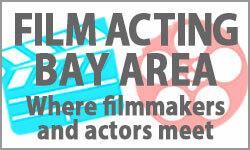 everyone was so helpful," gushed Frida De Lackner about shooting in Oakland. A producer and now director out of LA, albeit Berkeley born and bred, De Lackner is currently completing "By Chance", a short she wrote, directed and produced. "Oh my god!" she continued, "They closed off part of a sidewalk; the parking spaces were so cheap; and the space at American Steel was perfect." That's the gargantuan, West Oakland art warehouse where she constructed the set for her art gallery, so that her cute couple, played by Darren Bridgett and Elena Wright, could meet neat. 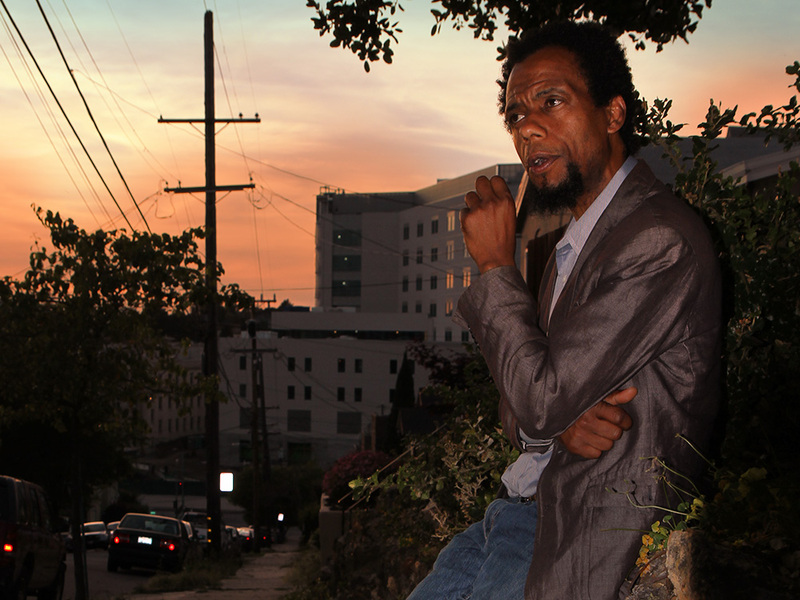 Now finalizing its color correction and mix, "By Chance" was shot by Frazer Bradshaw, the Oakland cinematographer known for writing/directing the Extremely Oakland (Beleaguered White Category) "Everything Strange and New" (2009), starring the talented North Oakland homie Jerry McDaniels. Though it wasn't well-understood five years ago—except by The Hollywood Reporter, which lauded its "two saddest blowjobs in film," the mini-masterpiece was picked up by IndiePix out of NYC, and is now distro-ing through Netflix, Hulu and Amazon. 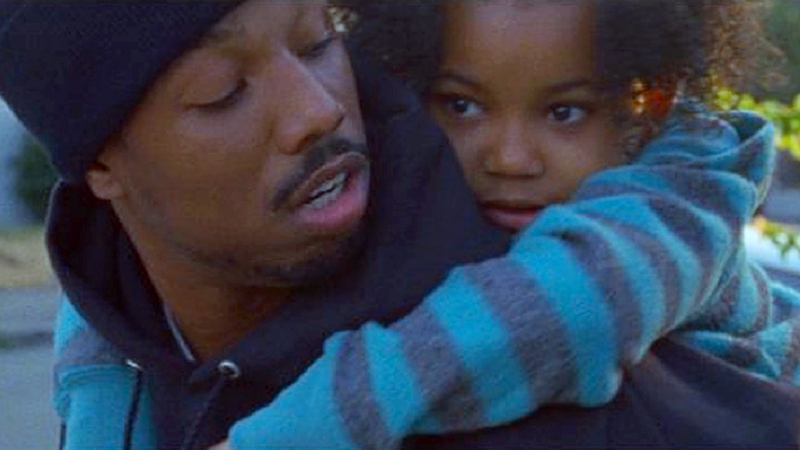 Since then, the Oakland indie community has really taken off, notably via the native (now also LA-based) Ryan Coogler with his brilliant screenplay and direction of the wide-released and equally-acclaimed "Fruitvale Station" (2013). Coogler's hard-hitting but very humanist and artistic view of a day in the life and tragic death of Oscar Grant was obviously an Extremely Oakland story (Beleaguered Black Category). Indeed, many industry observers—even New Yorkers!—felt it warranted an Oscar nomination for Best Picture. In the Extremely Oakland (Culture Clash Category) sits Anthony Lucero's "East Side Sushi", which premiered in March to four sold out shows at San Jose's CineQuest and took home their audience award. "East Side Sushi" concerns Juana, a fruit-cart vendor, beautifully acted by Diana Elizabeth Torres, a conservatory-trained Mexican actress. Sick of struggling as an immigrant single mom, she sets her sites on the patriarchal AND foreign position of sushi chef. Unlike many overamped and undermotivated stories, however, the film grows slowly and organically with her until its amazing climax, see CineSource article. Other recent features shot—if not originated—in Oakland range from the "Diary of a Teenage Girl", by actor-turned-writer-director Marielle Heller and starring Kristen Wiig, which took over the famous Alley Bar on Grand Avenue one day recently to "The Real Trial of the Century", about the media circus, murder trial of Black Panther Huey Newton, which filmed for three days at Oakland's police HQ. Non-feature projects included a homegirl Sheila E video supporting her single “Fiesta”, an episode for the Travel Channel's “Food Paradise” about the popular restaurant, Bake Sale Betty, and tons of car commercials. 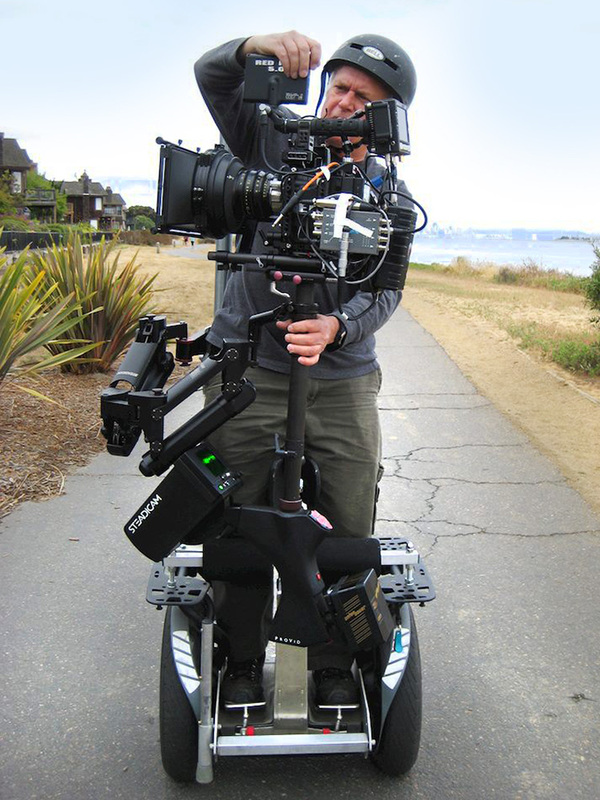 “Car commercials pay more people in Northern California then any other media”, noted Tim Ranahan, of Ranahan Productions, a rental house. With last year's closure of the Oakland Film Center, Ranahan moved to Berkeley, half a block from the Saul Zaentz Media Center. Named for the great and recently deceased indie producer, and traditionally called "The Fantasy Building" after his company (see CineSource article), it has become THE East Bay media hub. "We fought for nine years to build the Oakland Film Center and the industry would have been huge, eventually," reminisced Ranahan. "But the Oakland City government became too polarized and myopic. They were pushed around by powers outside city government." "Things are no different after the Film Office cut its personnel [to just one person in 2010]," noted Wilson Wu, a big Oakland booster—he lives here—as well as occasional critic. Wu got flack for writing his city representative when a Motorola shoot at Lake Merritt Park was cancelled due to Park Department delays. "The day after the CineSource article went up, I received a conciliatory phone call and assurance of quicker attention," he added. And he had nothing but praise for the film office's Jim MacIlvaine, as well as Oakland's cops and other service providers. "Oakland has enough looks to support any shoot, unless they say they want the Golden Gate Bridge or cable cars." 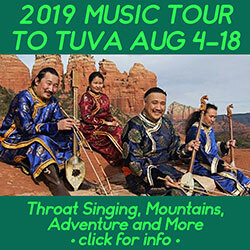 said Wu, an Asian-American, who location scouts many, if not most, Nor Cal car commercials, including the famous Nissan Rouge spot where a woman ski jumps her vehicle onto a train. "Clients are always surprised because they never considered Oakland," said Wu, who just wrapped an Allstate Commercial in Oakland's Piedmont neighborhood. "I just showed Woodminister [an Oakland city park] to a client [a high tech giant]. They were blown away. 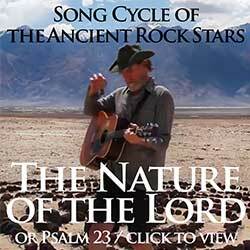 It has redwood trees with a rapidly running creek." 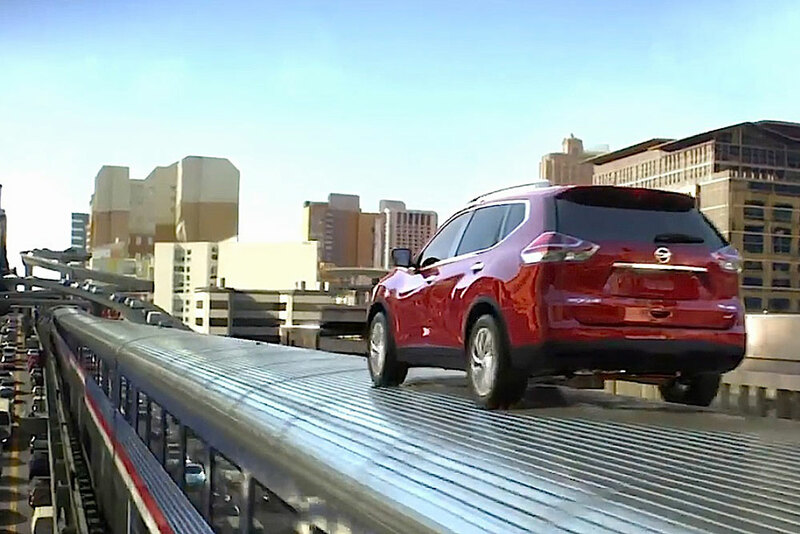 When it came to the Nissan Rogue spot, "We were looking for a distinctive shot where a car could turn on to a crowded city street, go onto an on-ramp and fly onto a train," he recalled. "We had to OWN the intersection. In SF, it would have been impossible. Although I was on another shoot, I met with F. Gary Grey [the African-American music video and film director from New York] for a half an hour." "I said, 'You are not going to get this shot in SF but if you can say the word 'Oakland'.' He said, 'Where?' and I said—right off the top of my head: '12th and Jefferson.'" "The next thing I know we are doing that shot—a real coup for Jim MacIlvaine [THE MAN of the Oakland Film Office]. We called him and gave him four days—a street closure and a lot of police. He turned it around in two days!" applauded Wu. "'Can we do this or do we have to get a permit?' I don't know how many times I have heard that," remarked Wu about filming in Oakland. "Technically, you need a lane closure to do a curb shot but not so much Oakland! 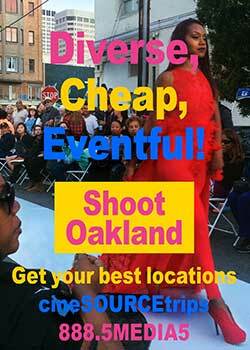 For young filmmakers without big budgets—shoot in Oakland!" When the Oakland Film Office opened in 2002, the prodigious efforts of its director, Ami Zins, jumped feature shoot days in the city to 52 the next year. Although that has tapered significantly, television commercial shoot days have been rising, to 40 in 2012, as have documentaries, which were a whopping 64 that year. The television shows have also augmented, to a robust 68 in 2011, due in part to Oakland's ever-emerging iconography in the national culture. For example, "Diary of a Teenage Girl" was originally set in San Francisco but, with so many techies and millionaires, the city no longer evokes the appropriate imagery. Admittedly, some Oaklanders claim that commercial film shoots and tax breaks are offensive to poor people and assist only rich filmmakers. Conversely, keeping Oakland a media-friendly community stimulates the city both economically, with permit fees, production expenditures and local professional's wages, but also intellectually, from giving kids goals and ideas. Indeed, "We had a good year," according to David Roach, founder and director of the Oakland International Film Festival (OIFF), about their recent, beginning-of-April event. He noted a diversity of strong material, including local films, like the "March 21" and "Set Me Free", both Extremely Oakland (in the documentary and black drama categories, respectively). 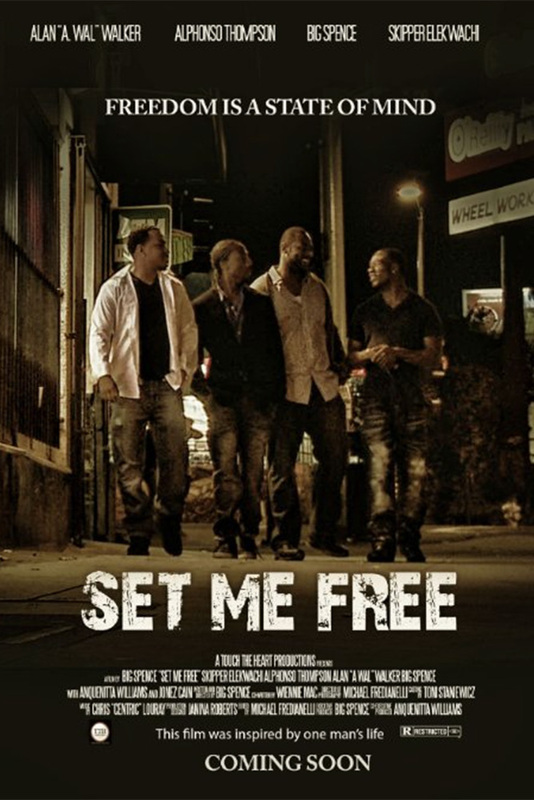 "Set Me Free"'s writer-director moved from acting in teen theatre in Oakland to LA and parts in the television series and movies, where he was dubbed Big Spence by actor Will Smith. His film dives into the difficulties besetting a tight crew of four Oakland men, torn between art, crime, school and, of course, women, but they finish the film without shooting each other. Starring the likable and talented Skipper Elekwachi from "Licks", last year's well-regarded Extremely Oakland Film (gang banger category), Big Spence also coaxed good performances out of the rest of his large cast. The festival's opener, "Tusant LeOverture", by the French-Sengalese filmmaker Philippe Niang at the fabulous Grand Lake Theater, was intro-ed by Elaine Brown, ex-head of the Black Panthers. The closer concerned Souls of Mischief, Oakland's premiere rap group of two decades back, a force for conscious hip hop. "It's important to bring in the foreign influences and history," said the soft-spoken and elegant Roach, who regularly attends Sundance and industry seminars, and sees film festivals as a good way to build civic pride and identity. In fact, OIFF partnered with the Oakland Museum in 2012 but, when that relationship slipped, "we found other venues: the Oakland Asian Center, San Leandro's Bal Theater—Dan Gilman [the owner] is a film buff and very supportive." 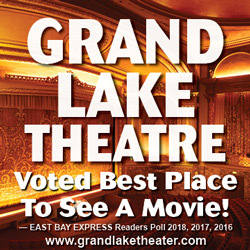 "Although this is our thirteenth year, " said Roach, who runs the festival out of his laptop with the able assistance of dedicated volunteers and some local businesses, "it still hasn't caught on [among East Bay municipalities] that festivals can be good for the economy as well as the culture." 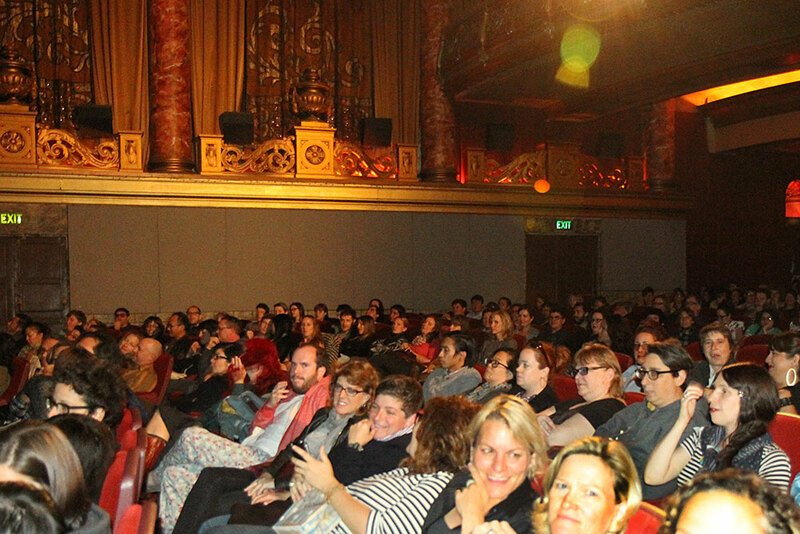 OIFF also hosted a film market at the famous downtown Oakland club, Jefferies Inner Circle. About 20 filmmakers screened up to ten minutes of footage and got feedback from Pixar pros and others. "We need organizations that promote film," noted Wu who also produces indies projects, including his own acerbic shorts like "You Not Chinese!" (1994). 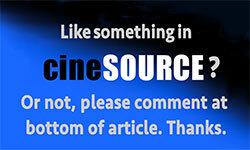 "It would be a big service to the community. It is something where the younger people could get work and make a difference. Film is a vehicle for change." One of the OIFF films Roach enthused about most was arguably this year's most controversial Extremely Oakland film: 'March 21st', by Samuel Stalker. It is a doc about Lavell Nixon, who killed four police officers in one day here in 2009. "In this short film, you get inside his head. What could have turned his knobs so much that he would shoot two officers and then two more." Starting with a simple red light stop, Nixon, who was violating his parole, was determined not go back to jail. "It covered how the Oakland Police Department didn't follow protocol. They sent in the SWAT team and they handled it poorly—just barging in," continued Roach. "Plus, he was on parole but his PO officer didn't show up to a scheduled mandatory meeting. His girlfriend said that he was trying to become a chef, and he finally got a job." So save the date for next April, 2015, for more cutting-edge local film, when the OIFF displays in even more venues in Berkeley, Oakland and San Leandro. "I think it has really taken off," noted Bolaji Tijani-Qudus, a writer and filmmaker. Indeed, Bolaji, as he prefers to be known, is the impresario of a local film series "Hella Love Shorts" which routinely sells out screenings at local theaters. "There is a lot synergy. Right now we are getting a lot of film goers but we need filmmakers," he opined. "We need to support each other. 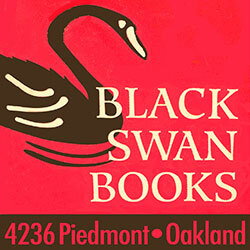 I think there is new renaissance in Oakland, we just have to keep the momentum—there are so many filmmakers out there." "Oakland film is the beneficiary of the considerable gifts," remarked Kahlil Karn, who runs the Oakland Underground Film Festival (OakUFF). "The radical, working class, multicultural and multidimensional character of Oakland has no equal in the entire country—I stand by that, none." Some interesting OakUFF film's last year, said Karn, were "Space Out" by Aidan Fraser, "The Altered Lives of Lavonne Sallee" by Jazmin Jamias and "Rope a Dope" by Eric Jacobus, the only one I saw, which was excellent. As well as hiring out as an actor and stunt man and helping run his company, The Stunt People, Jacobus has been doing low-budg features since 2003, for as low as $2,000, mostly what could be called marshal arts noirs, albeit always integrating humor and romance. He takes a slightly different course in 'Rope a Dope', which 13 minutes and designed for festivals, where it is doing well. Shot entirely in West Oakland, it has a 'Twilight Zone' meets Buster Keaton feel, as well as a "GroundHog Day" trope: the hero, played by Jacubus, keeps waking up, going for breakfast and getting attacked by a local gang, over and over. Accustomed to producing amazingly high production-value films for under ten thousand, Jacobus could teach Wu's suggested class on guerrilla filmmaking. Although the OakUFF's Karn worries "the nouveau riche will overwrite the character of Oakland," he thinks "the brave, inclusive, improvisational and funky DIY esthetic" will win out and "continue to inform the people that call it home and the country that looks to it as an example." This fall's festival will open at the Grand Lake, as usual, and continue at the intimate and warm—and appropriately named—Humanist Hall. Our shout out to Oakland indies didn't seem to catch as many ears as in previous years, perhaps because many are very busy. Frazier Bradshaw is doings a bunch of docs as are many others, including Adriano Bravo and Sara Dosa. "One is about the international dubbing of American studio films," Bradshaw told me, "the hook being: the guys who do George Clooney in other languages. So far we’ve been to Brazil, Germany and Italy, and we’ll be traveling again in May to Turkey, France, and some other places." Oakland-based documentary maker Sara Dosa, just completed her innovative 'The Last Season', about the New West and mushroom hunters in the Oregon woods, and debuted the film at the recent SF International Film Festival, see CineSource article. "The loss of Oakland Film Center, it made no sense," lamented Wu, returning to the issue of how to augment Oakland film. 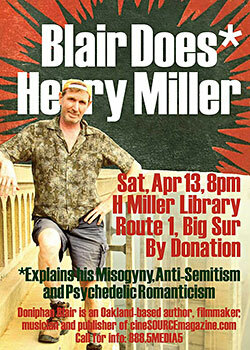 "I just shot Allstate and we basecamped at Ranahan's in Berkeley but it is not nearly big enough. If someone was inventive enough, we could rebirth the Oakland Film Center—that would be great." "I don't know if it was a matter of people seeing filmmakers as rich," Wu continued. "We are a low priority and there is not enough of it. If you don't have a lot of commercial film, the city is going to look at it like it is a nuisance." "What I bring to the city is not dollars and cents, it is public relations. A feature film that says, 'This is Oakland!' that's worth millions of dollars, like what 'Sideways' (2005) did for the Santa Barbara hills wine district." "How do you get it out to the rest of the world that we are not just gangbangers? You do it through the media. The Film Center set the stage. Ami [Zins] was right. 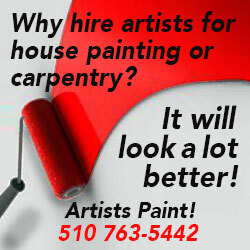 I see more and more people on commercial projects in their early 30s." 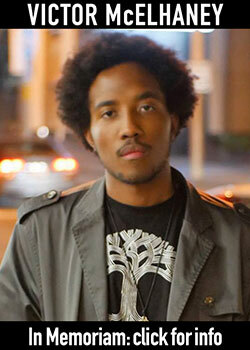 "'Fruitvale': I am personally very proud of it. 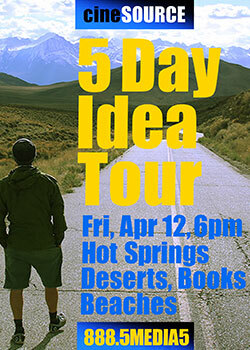 Matthew Rueda, my friend, did the location scouting. That is the kind of film that is important to be made—it gives a voice to the people," he concluded. "These kids have things to say—a lot to say. It is important these kids say it, as opposed to bleeding heart liberals like us. 'Fruitvale' is a perfect example of that. There are a million 'Fruitvale' stories out there, waiting to be told, and they will move our society. I am waiting for those."